You are here: Home / Newsletter Archives / New Product Alert! 2017 Shimano Chronarch Sneak Peek! VIDEO: Check Out The Brand New 2017 Shimano Chronarch MGL 150 Casting Reel- AVAILABLE SOON! We are very pleased to announce the introduction of the brand new for 2017 Shimano Chronarch MGL 150 Casting reel. We were able to get out hands on a prototype, and WOW! Pretty impressive to say the least. Watch the video to find out all of the great details and the improvements Shimano has made to this new reel. The New Chronarch MGL will be officially released sometime around the middle of March. Check back soon for a more detailed write up and the option to Pre-Order! Our Annual Trade-A-Thon Is Going On Now! 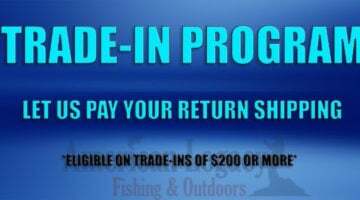 Trade-In Your Used Rods and Reels For New Gear and Get An EXTRA 10-15% On Your Trade-In Values! Gather up any of the rods and reels you wish to trade-in and , Get a quote quick: Use the Trade-In Form, call us at 877-402-6350, fax us at 812-402-6352, or walk into to our beautiful showroom in Evansville, Indiana. 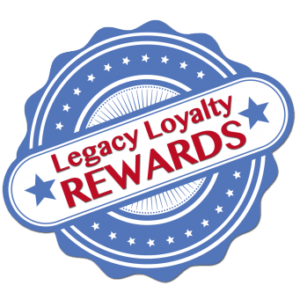 We will promptly quote you a trade-in value based on the model and condition of the merchandise. For two weeks only, receive an additional 10-15% to our already generous trade-in values!!! 50% OFF G. Loomis Camo Luggage! While Supplies Last!